Oh the many times I’ve stated, slurred, shouted, and sang the wonderful, pithy slogan of the Donbass–usually before a sto gram (100 grams, or a Ukrainian shot of vodka). I lived for two years as a Peace Corps Volunteer in the northern corner of the Donbass; my village was a rural collection of homes clustered near a large, broken chalk mine. 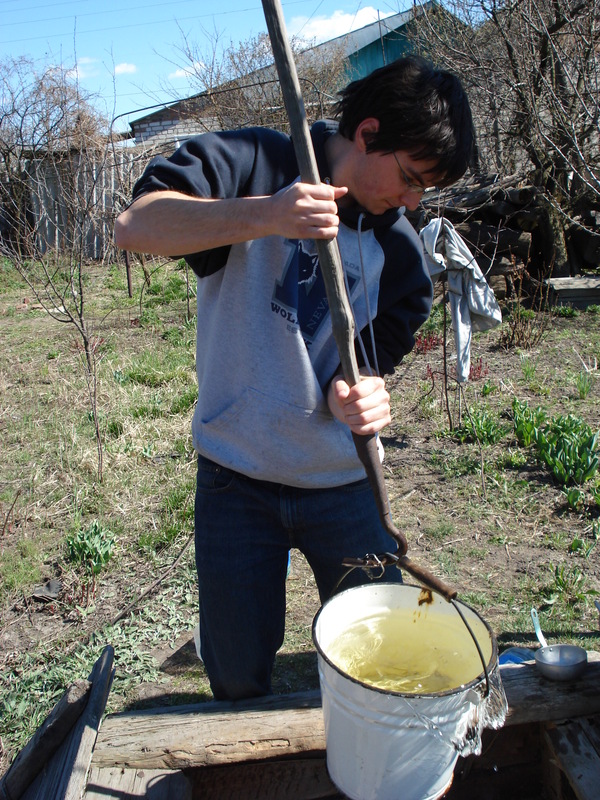 I taught at the village school, wandered the paths near the Donets River, drank with my fellow teachers, swam in our little lake, and chopped enough wood and shoveled enough coal to last a lifetime. While it was a difficult life–midnight visits to the outhouse in -40 degree temps!–in the end, it helped make me who I am today, and I now look back on those days with nostalgia. So it is with a heavy heart I view the events currently underway in my part of the Donbass. Slavyansk was my closest town–where I would escape from the peasant life to drink beers with friends under the chestnut trees, visit the bank and post office, check the Internet, buy things (because there simply wasn’t all that much to buy in my village.) 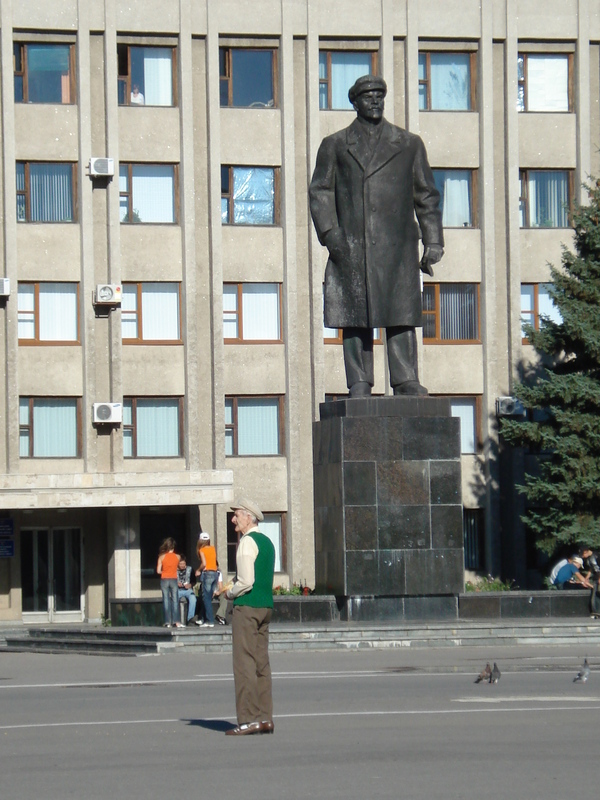 I can’t imagine the Slavyansk square, replete with the Lenin statue (Lenin with hat in hand…and on head), occupied by soldiers or protesters. 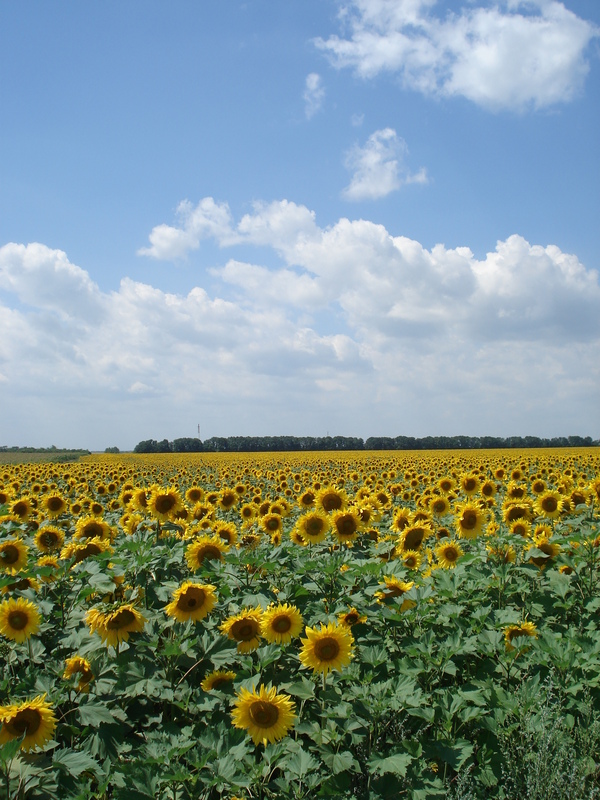 I can’t imagine tanks and APCs rolling through the vibrant green of the Donbass countryside. I can’t imagine jets and helicopters screaming over the birch trees and salt lakes. And yet, this is happening. Many of my friends and family have asked me what I think will happen. I don’t know, but I do know that the situation is far more complicated than the average talking head portrays it with a smug face on the 24-hour news cycle. I want to help explain some of the complexity that is Ukraine, with all possible caveats–I was there many years ago; I was in a small village, not an urban center; I am not a Ukrainian native; the list goes on…But I know more about the Donbass than most Western reporters I’ve seen on TV or editors writing in Opinions, I’ve rode her marshrutka, farmed her black earth, and sampled her finest horilka. 1. What is the Donbass? 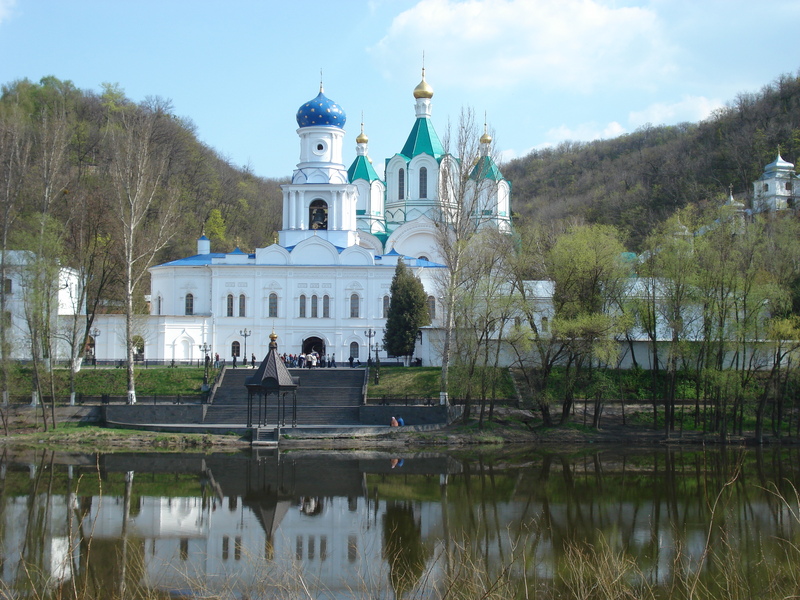 The Donbass is the Donetskiy Basin, the semi-swampy lands of eastern Ukraine that drain to the Donets River. Two oblasts (like our states) make up the Donbass–Donetsk and Luhansk–but the Donbass is also, as so many other regions, a cultural construct. The long history of the Donbass has intertwined periods of sleepy farming villages with massive influx of industry, especially extraction industries. 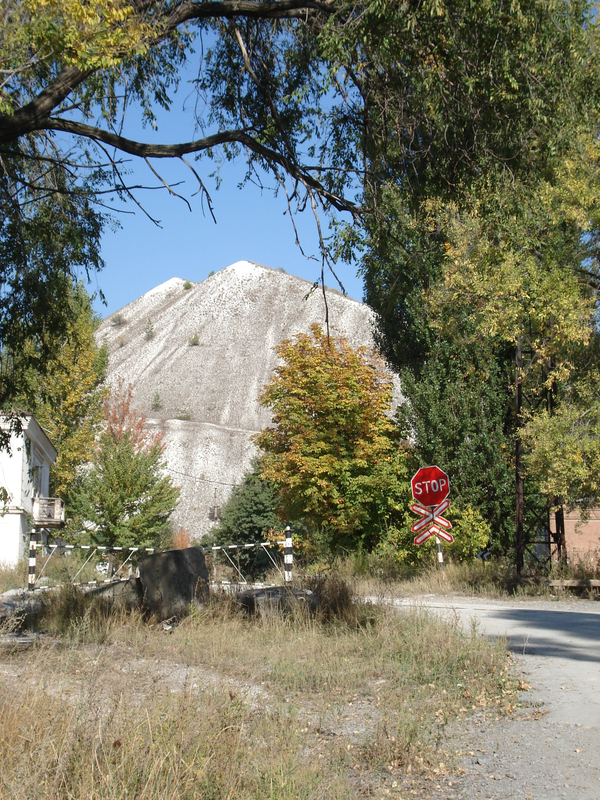 The largest city, Donetsk, features unavoidable evidence of that extraction–the slag heaps, terrakons, that rise like piebald, sleeping dinosaurs throughout the city. Coal miners made Donbass, and there was a strong pride in the tradition of hard work, celebrated during the Soviet era. Many of the small villages were founded as Ukrainian-speaking hamlets, while the urban centers saw mass immigration by many ethnic Russians. However, just like America, those immigrants, while still tied to the old country in culture and blood, after a few generations began to see themselves as Ukrainian. The languages mixed and melted into a strain of Surzhik, spoken by the working man (and your author), though many Donbassers speak both excellent Russian and Ukrainian without problem. There is something hard in the Donbass, a toughness that reveals itself sometimes in sporadic flashes of extreme violence, or in the gold-grilled smile of a babushka who has worked tough her entire life–known that deep Slavic sorrow–and still carries on. I have been all over Ukraine, but that steel lining makes the Donbass home. 2. Does the history matter? reader. Imagine if everything you believed in–your government, your way of life, your retirement, your future–was ripped away from you. If the very fabric of your entire life just unraveled in a few short months. But not just your life, everyone you know is suffering. Everything you thought was real and immutable–the permanence of institutions–just evaporated. Many Ukrainians remember that. It was the fall of the Soviet Union. While we view it from our Western lens as an overarching positive, there are many in the Donbass who don’t share those rose-colored ideas. Your average Ukrainian didn’t wish death and destruction on the West, no more so than your average American wished nuclear winter on the Soviets (I’m sure some did, and some extremists here still espouse hate and anger, but this is not about those few yet). But, in the narrative, the Soviets were wrong, and their institutions were broken by a triumphant West. Imagine the blow to your pride as the factories you worked in your whole life closed, as the money in your accounts became worthless paper kuponi, as your government rolls over and hands away the keys to the car to crooks and thieves. Because, in order to understand Ukrainians and see them as people (not simply pawns), we have to remember that the West played a major role in establishing and legitimizing the corruption now so prevalent in the post-Soviet world. Through shock capitalism, our economists (Who still have jobs! Who still teach at universities! Who still are pundits!) and politicians privatized the state in short order, and sold it off to…well, whomever had the power and resources (which unsurprisingly, were the very same corrupt Soviet apparatchiks). And so, the mighty Donbass, once one of the most productive and richest oblasts in Ukraine, was made beggar to corrupt politicians, with compliance from the West. A new couple had bought the old farm and decided to let the foxes run the chicken coop. Every nation is proud of itself–without that pride, how can it continue as a united whole? Ukraine is no different. It has produced world-renowned authors and poets, scientists and composers, artists and cosmonauts. Its the geographic center of Europe! It voluntarily gave up its nuclear weapons! It was (according to a very shaky source) one of the first democracies. That pride took a hit with the collapse of the Soviet Union. That pride was wounded when criminals and corrupt politicians captured the state soon after. Europe turned away from Ukraine, though Ukraine reached out to her on many occasions. Manhole covers were stolen to sell as scrap metal, and Ukrainians could only drop trees into the holes to warn drivers–this was a nation that put men in space and fought the fascists in Odessa from catacombs. Frustration, anger, and resentment grew. Enter the Orange Revolution. Ukrainians are not stupid, not blind–they know their politicians are corrupt. They know there are backroom handshakes and deals that further undermine the state. They know that elections are purchased. But they will support the politician who more closely represents their interests (shocking!) So Donbassers supported Yanukovich, the hometown boy made ‘good.’ But he was caught with his hand in the cookie jar, and, amazingly, peacefully lost the Orange Revolution. However, like many a preordained agent of change, Yushenko disappointed. The Donbass could accept that its politician slunk back in shame, but they couldn’t accept Yushenko’s ultimately bumbling rule. Language is incredibly important to a culture’s representation of self, and denying Russian language for a largely ethnically Russian population reeked of discrimination to many. Yushenko’s ineptness was reinforced by a recovering Russia, which barely masked its contempt for the President. The Orange Revolution stood little chance of capitalizing on its success–too many powerful players were opposed (Russia turned off the gas in winter almost immediately because, well, they are dicks), the West supported the revolution and did little afterward, the politicians were in disarray and immediately started infighting, the corruption of the surviving institutions wrapped its coils around the populace ever more tightly–but Ukrainians made do, because that’s who they are and that’s what they do. Times have been bleaker, and if you still have some strawberry jam from last winter to heartily plop into your tea, well, then it’s not all doom and gloom. 3. So why is this happening now? First, I am sure there are Russian provocateurs in the East right now. It’s the same playbook from our time in the Cold War–go in, stir up trouble, invade or support or do whatever to cause enough pain and sorrow among the actual people that they accept whatever puppet the USSR or USA could drag out. I’m not really interested in that–sadly, the people are going to be used as pawns in some strange new contest between an expansionist Russia and a West that kinda, almost cares about Ukraine. I’m more interested in trying to discover why the folks of the Donbass let themselves become pawns. Does the Donbass see the EuroMaidan protests as legitimate? That’s the ultimate question, right? Likely, there was little access to a free, unfettered media, as those rights have been steadily eroded–the beheading of reporter Georgiy Gongadze was just a footnote in a long slide towards the bottom. Do Donbassers see in the EuroMaidan protesters the same people that will outlaw Russian again (which was a major misstep by the new government, quickly rescinded, but damage had already been done) and make a pariah of the East? That will vilify ties to Russia? That will supplicate itself to a West that rejects Ukraine? Because this is what they saw and heard under Yushenko years before the EuroMaidan–never underestimate the long game–but how much is fact and how much fiction? economy and demand that the world take the nation seriously again. Donbassers did see a re-energized Russian population, a re-ignition of pride, a leader who appealed to a Slavic ideal of man (you think all those great photos are to titillate the West?) Donbassers remembered their ties to Russia, and how during the Soviet Union, they were a strong and vital part of the national dialogue. They didn’t see, or chose to ignore, the repression, oppression, violence, and corruption required of a dictatorship democracy. They compared America to Russia–same lack of real political parties, same spying on her own citizens, same repression of whistleblowers, same unilateral wars, same corruption, same politicians in the pockets of big business, same oppressive security apparatus, the similarities continue–without the shared culture, history, and language. Ukrainians are intelligent, educated individuals, but masses everywhere can be manipulated quite simply by media and other interests. They are tied–culturally, socially, and economically–to the nations that surround them, as the Donbass is to Russia. They are asking fundamental questions of themselves, “Does this government represent me? If not, can I co-exist with this government? What offers me and those I care about the best possible future?” They certainly don’t want war, nor to see the blood of their countrymen on their hands (Russian infiltrators are easy to spot in interviews or giving speeches because their talk circles always back to bloodshed). Ukrainians are a people who are faced with tough choices in confusing and difficult circumstances–but they are also trying to live their lives and construct a livable future for their families…they still post on Facebook and vkontakte, they still attend school and college, go to work, visit grandma in the country…Many a Ukrainian’s favorite song is “The Winds of Change” by the Scorpions, which has been Ukraine’s history for the last quarter century. Photo credit of me pulling water goes to Casey Peterson.